We are a 501(c)3 organization working to honor all veterans and share their stories through exhibits, programming and special events. 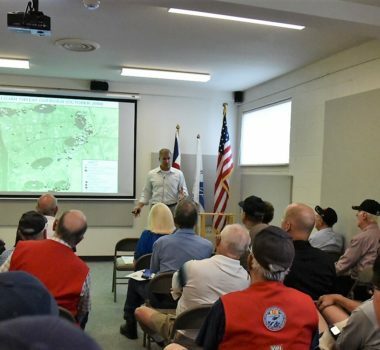 Through programming and educational outreach we meet our mission of preserving the memories of America’s military history and facilitating the stories of veterans for the benefit and education of generations to come. Join us from 9-11am the 2nd and 4th Saturdays of each month for an informal presentation about a military conflict, branch or event. Come early to enjoy light refreshments. Click HERE for schedule. The museum takes part each year in services for Memorial Day, Flag Day and Veterans Day. Join us in showing our support for service members on these days. Click HERE for schedule. Is there a veteran in your life that has a story to share? We have multiple ways to honor veterans in our community and beyond. Click HERE for more information. The Broomfield Veterans Memorial Museum is enjoying more space since its expansion into the garden level of its building at 12 Garden Center. Thanks to generous support from the City and County of Broomfield, the veterans museum was allowed to take over the space previously occupied by Broomfield FISH. Following some renovations, the move was completed in the summer of 2018. With the addition of another floor, the museum has added a larger meeting and presentation room, an expanded library and research room, and more space to store artifacts and museum collections. In the existing upstairs space, the museum will expand its current exhibits and bring in additional displays for visitors to enjoy. The addition has been a long-awaited opportunity for the growing museum. In 2001, the founders of the veterans museum moved into one room in the upstairs and slowly grew its operations to fill the entire floor. The added space from the lower level will allow the museum to continue its growth and serve its mission of educating others of Colorado's military history while connecting with veterans and sharing their stories. This fall, the museum will host an official open house for everyone to see its newly renovated and enlarged space. 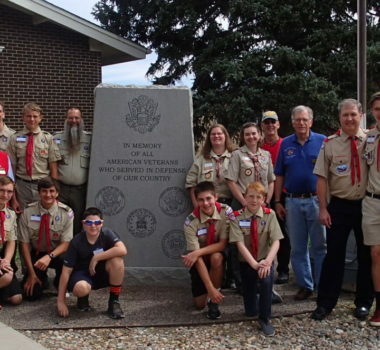 On September 1, scout leaders and scouts from Boy Scout Troop 87 and Cub Scout Pack 372 visited the Broomfield Veterans Memorial Museum and were able to see the museum's new expansion into a second floor. The visit resulted from an Eagle Scout project by Scout Graham Campbell focused on exploring areas where the museum and scout programs can support one another. 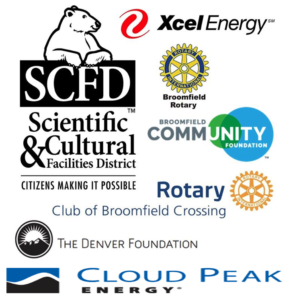 The museum often hosts meetings for local Cub Scout packs, provides workshops on flag history, etiquette and flag folding, and Cub Scouts join the museum in the annual Broomfield Days Parade. Boy Scouts assist the museum with the Annual Veterans Day Program at Broomfield High School, collect discarded flags at the museum for the Flag Day Ceremony and receive help from the museum in working toward the American Heritage Merit Badge Award. The visit and discussions were most helpful in identifying other potential projects and programs where the museum can assist our community scout programs. When U.S. Army veteran and 2008 Heart of Broomfield award recipient Robert “Bob” Davenport passed away in late 2017, his family wanted to do something to honor his legacy. As a result, they partnered with the Broomfield Veterans Memorial Museum to create the Robert Davenport, Sr., Veteran Fund in his memory. Davenport’s strong ties to veterans and Broomfield inspired his family to set up the fund. Davenport joined the Army in 1952 right out of college and later served in the Judge Advocate General Reserve Corp. before retiring as a lieutenant colonel. In 1958, Davenport and his wife, Patty, moved to Broomfield, where he became an active member of the community and was one of the six founding members of the Broomfield Memorial Veterans Museum. The purpose of the fund is intended to help address emergency financial needs of honorably discharged or retired veterans of the United States military and of their immediate families. The Broomfield Veterans Memorial Museum Directors are responsible for helping to facilitate and execute incoming grant requests on behalf of the Davenport Family. To be eligible for a grant, a veteran must be a resident in the City and County of Broomfield. Grant requests shall not exceed $1,000.00. Grant requests must be submitted to the Broomfield Veterans Memorial Museum in writing or via email. Requests may be submitted by an individual veteran seeking financial aid, a family member on behalf of a veteran, or an organization on behalf of a veteran. 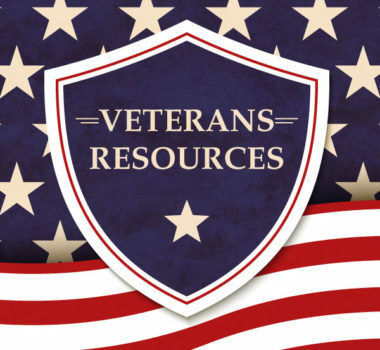 To review the guidelines and access a grant application, visit the Veterans Grant page.